Since the beginning, Bel-Air Cases have been used to protect and transport some of the biggest names in Audio-Video electronics and components. Whether you have movie cameras, studio mixers, microphone kits, or projectors, we can design and build cases to offer the ultimate in protection, transportability, function, and value. Bel-Air has the largest standard library of carrying case sizes and can offer infinite custom possibilities. We can add a telescoping handle and wheels to almost any carrying case we make. 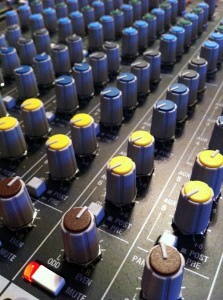 Require a panel mount or inner lid? It’s not a problem for Bel-Air. Stand out from the crowd by protecting, transporting, and displaying your contents in a quality Bel-Air carrying case made to your specifications. Call 866-235-2472 for instant design assistance and quoting. Bel-Air Heavy-duty Shipping Cases offer an unparalleled combination of durability, light case weight, value, and customizability. Why Purchase Bel-Air Carrying Cases? Bel-Air Carrying Cases are formed from the world’s largest library of case tooling. This means that, most likely, we have the case size you need. Our carrying case molds offer an attractive attache case appearance and have molded-in ribs for stability and molded-in feet for functionality. Also, since we vacuum-form using the appropriate tool regardless of case configuration, we can make your specifically sized case in either the heavy-duty, medium-duty, or light-duty style. 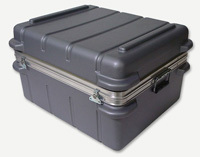 The standard hardware used on our Bel-Air Carrying Cases is dependent on which classification of case is manufactured. The Heavy-duty Carrying Case uses the same hardware and valance as our Bel-Air Shipping Cases, while the Light-duty Carrying Cases utilize hardware which is less durable, but attractive and cost effective. 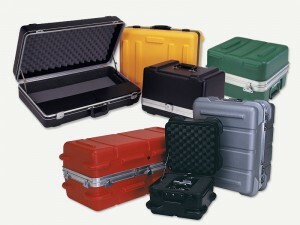 Finally, our Medium-duty Carrying Cases are assembled with case hardware that offers durability, elegance, and value. Bel-Air Carrying Cases are appropriate for a wide range of applications, from sales and demo kits, to OEM packaging and product storage. Our cases protect everything from medical devices to electronics and mechanical equipment. Heavy-duty Carrying cases can also be used as ATA compliant shipping cases if the ideal size of Shipping Case isn’t available. Whether you’re looking to transport a few large items, or dozens of smaller ones, a Bel-Air Carrying Case can be configured to meet your needs. With the world’s largest library of standard carry case sizes, as well as limitless configuration possibilities, our made-to-order Bel-Air Carrying cases can often provide a more ideal fit, stronger protection, nicer appearance, and better value than most off-the-shelf cases. Click on a case style to learn more.